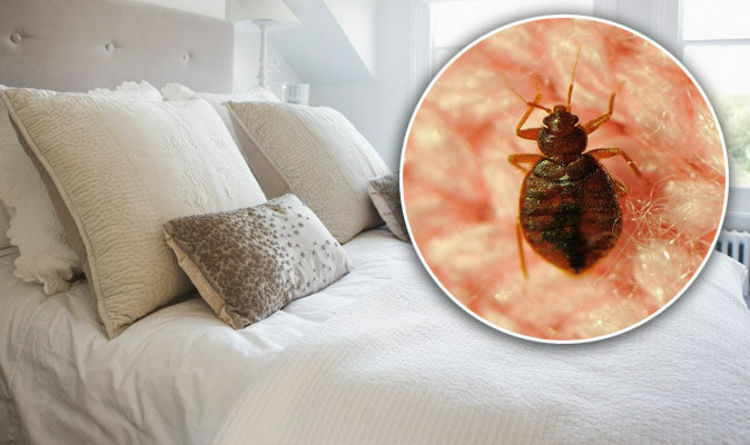 Celeb Gossip News – Bed bug bites: The common signs that you’ve been bitten – does your bed look like this? A bed that’s covered in ‘rust spots’ could be a warning sign of a bed bug infestation. Finding ‘rusty’ patches on the bed could be caused by bed bugs, said pest control firm Terminix. The spots aren’t caused by rust at all, however. It’s tiny patches of blood left behind from the bugs’ feeding. They’ll usually be found near the edge or corners of the bed, said Terminix. “Signs and symptoms of bed bugs can be hard to detect at first, and even trickier to treat,” it said. “To the untrained eye, bed bug bites can be confused with those of other biting insects. “The first sign of a bed bug problem is obvious: the bed. After bed bugs feed on humans, they’ll leave behind blood stains resembling small rust spots. “These will usually be found near the corners and edges of the bed. Along with the blood spots, you may notice an unpleasant smell in the room, it added. Bed bugs release a pheromone which can be quite overpowering in large numbers. The room may smell like a well-used changing room, warned Terminix. If you are bitten by a bed bug, it can take up to two weeks for the bites to start itching. But, the more you’re bitten, the quicker it takes for the welts to surface on the skin, it added.